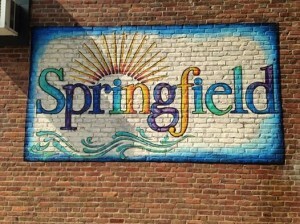 A project to update Springfield’s Master Plan for the Designated Downtown was completed in December 2015. The purpose of this project was to convene stakeholders together to identify desired initiatives that further revitalization of Downtown Springfield. This project was funded by a FY 2014 Municipal Planning Grant. This process updated the previous 1995 Springfield Downtown Redevelopment Plan. Click here to see the original master plan for the downtown area. 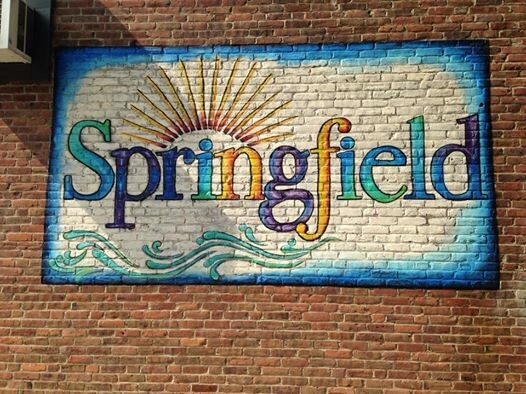 The Main Street Master Plan provides a vision and guide for improvements to public spaces and infrastructure that can leverage private investment and economic revitalization of Springfield’s downtown district. It was completed in June 2017 with funds from a Strong Communities, Better Connections grant from VTrans and ACCD. Click here for the final report. The Art Team was led by Mona Frye and included Angela Kelly. This talent is really amazing especially when coupled with the commitment to Springfield. Rumor is… they’re looking for another project. Image provided by Carol Lighthall from Springfield on the Move. Please contact us in the event that a document or any information is out-of-date.